A Taste of North Cyprus. ‘Could one ever do any work with such scenery to look at?’ Lawrence Durrell. I first discovered North Cyprus when my husband and I were invited to stay with his uncle who had a house there at the time. It has stayed largely unchanged and unhurried since the colonial days and was most famously written about by Lawrence Durrell in his best seller Bitter Lemons. The raw beauty of North Cyprus is breathtaking. With the jagged mountains on your left and the mediterranean sea on your right it is difficult not to be swept away. 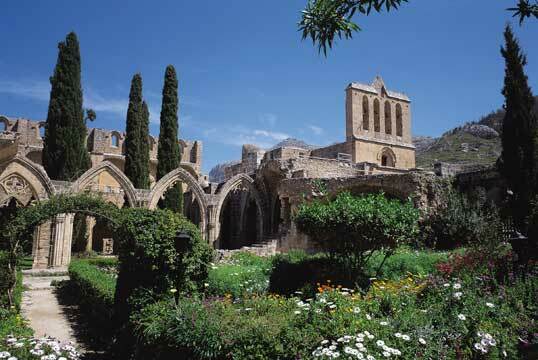 One of my favourite places to visit is Bellapais Abbey or ‘The Abbey of Peace,’ which is a gothic masterpiece built by monks early in the 13th Century. It’s beauty is legendary. Durrell bought a house close by and famously said he felt ‘guilty of an act of fearful temerity in trying to settle in so fantastic a place.’ The play of light and shade and the way nature has grown up around the ruins of the abbey makes it a truly magical place to visit. You hardly ever see a cloud in the sky in Cyprus so a trip to the beach is a must. Lighter tourist development in the north of Cyprus has helped the endangered green and loggerhead turtles to survive. 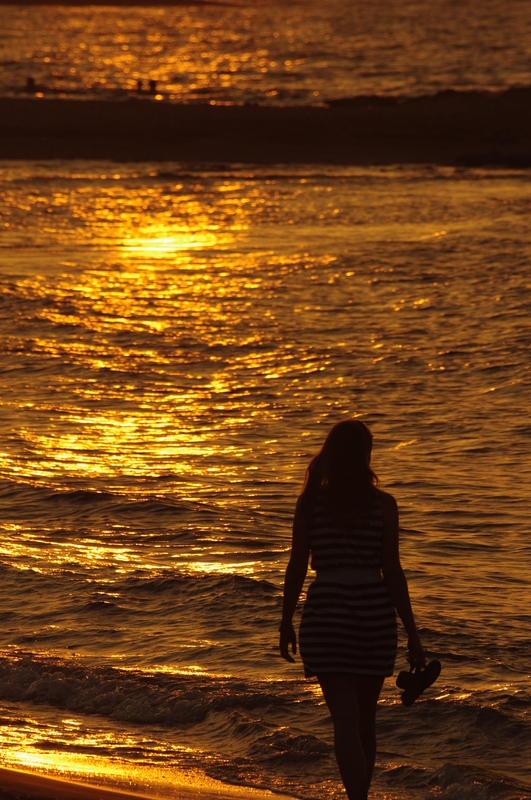 There are still empty beaches where females labour ashore on summer nights to lay their eggs in the sand. Go to The Goat Shed study centre at Alagadi at nightfall to watch baby turtles hatch from their eggs. 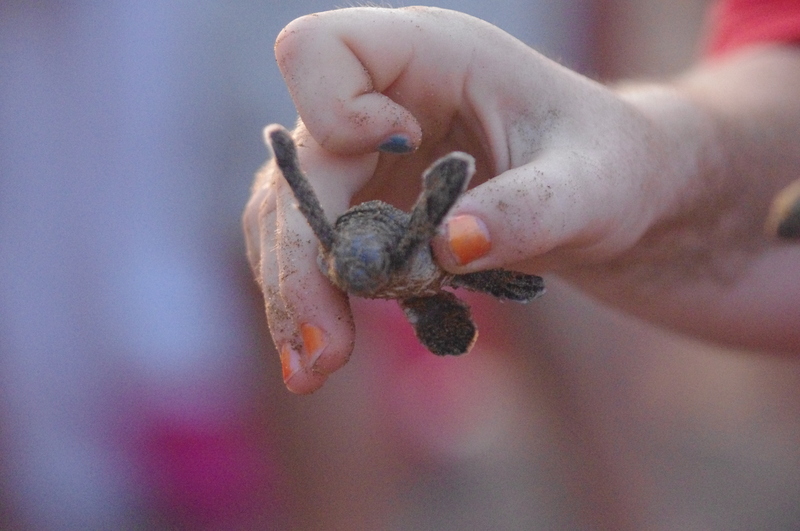 If you are really lucky you might get to help students at the turtle project release the babies into the sea as we did. Visit the only preserved ship from Greece’s Classical Age in the Shipwreck museum in Kyrenia Castle. North Cyprus also has some of the best Crusader castles in the Med. St Hilarion Castle, a jumble of defensive walls and towers, was taken by Richard the Lionheart on his way to the Third Crusade and is believed to be the inspiration for Disney’s Sleeping Beauty castle. 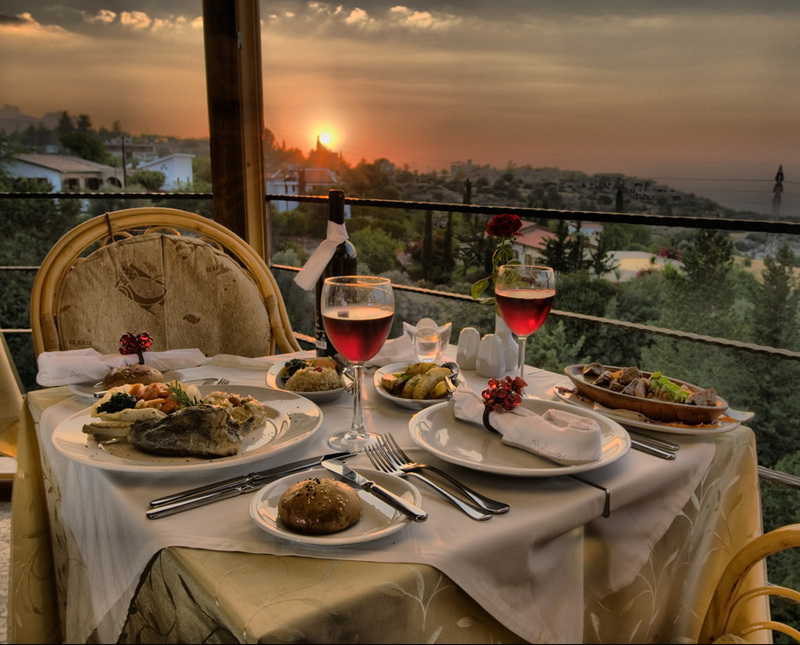 North Cyprus is also a foodies paradise. 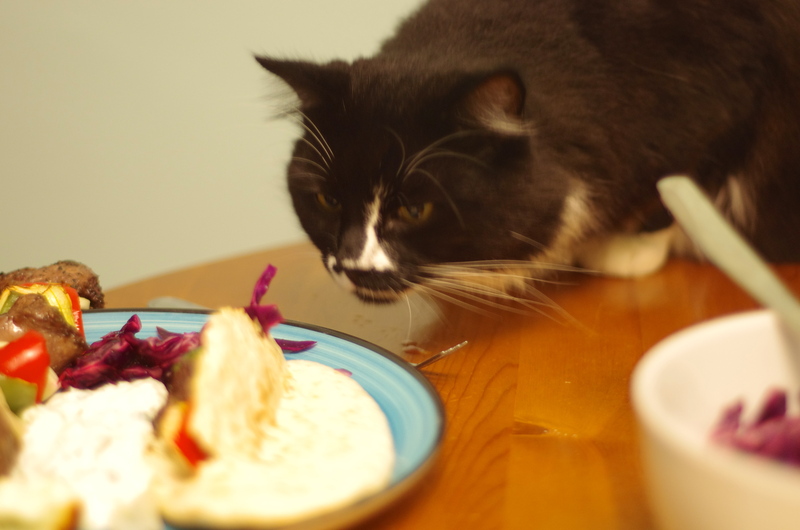 The kebab’s are a world away from the takeaway ones at home. Chicken, lamb, kofta are all freshly prepared with rice and pitta bread. Fish to die for, cooked simply on a grill with a drizzle of fresh lemon juice. Red mullet, sea bream and sea bass are traditional favourites. If you are in Kyrenia harbour you must try some of the fresh fish and mezzes. Our favourite restaurant of all has to be Bellapais Garden’s. A small but exclusive restaurant with elegant interior decor and gracious hospitality. We have visited this restaurant on two of our wedding anniversaries. The quality food, excellent wines and beautiful surroundings make it a perfect choice for an intimate dinner. 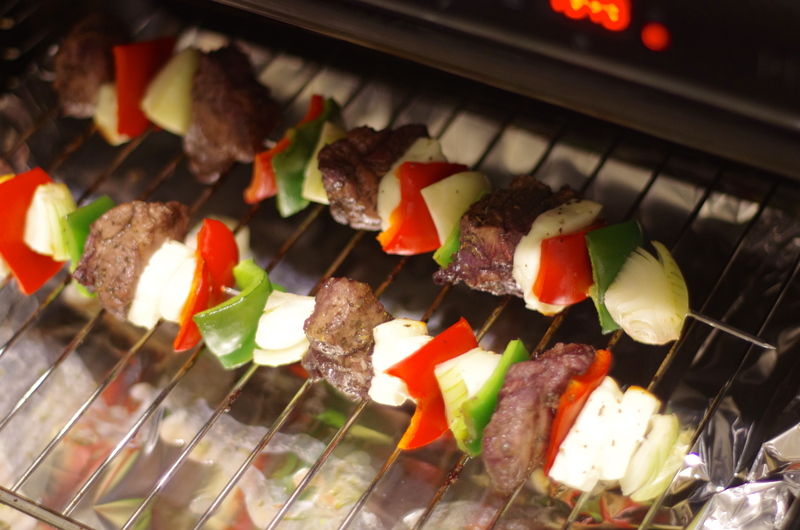 We Brits often feel guilty about eating kebabs. But, having seen the love and attention that goes into preparing an authentic Turkish kebab, I can assure you there is nothing to feel guilty about. 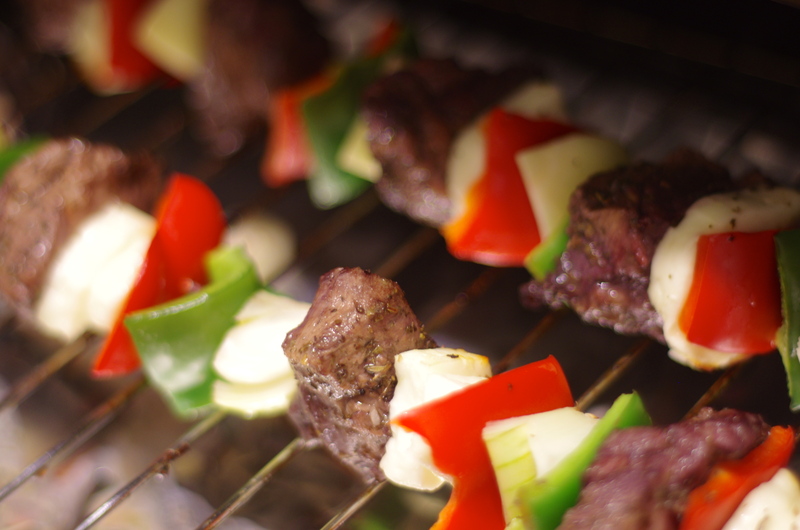 If you use fresh good quality ingredients lamb kebabs can be a healthy and hearty meal that the whole family can enjoy. A great choice if you are cooking for loads of friends or a party, because they are so easy to cook and damn tasty. 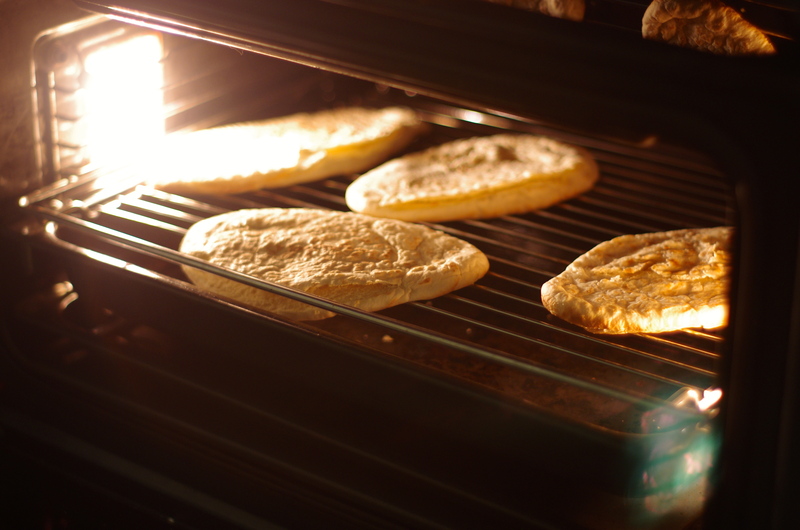 Fun to cook on the BBQ or in a griddle pan with a cold beer in the other hand. It really doesn’t get better than this! 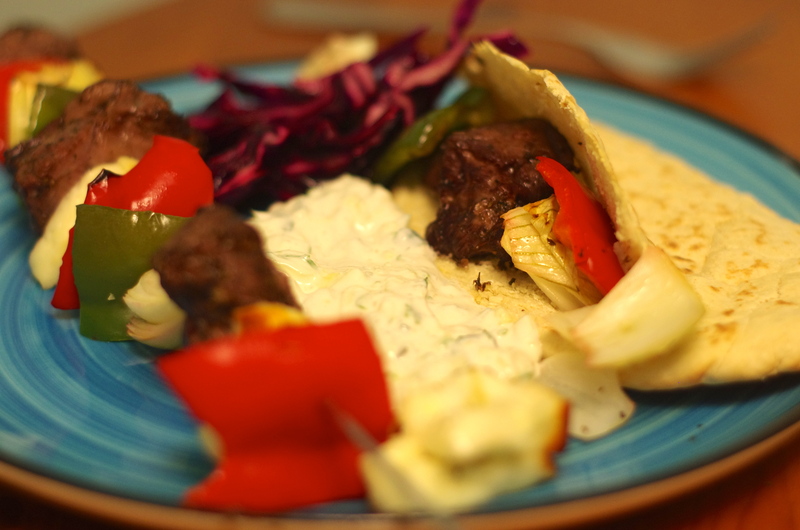 1) Put all the kebab ingredients into a bowl and mix together really well. Cover with cling film, then chill in the fridge for a few hours , or overnight if you want really intense flavours. 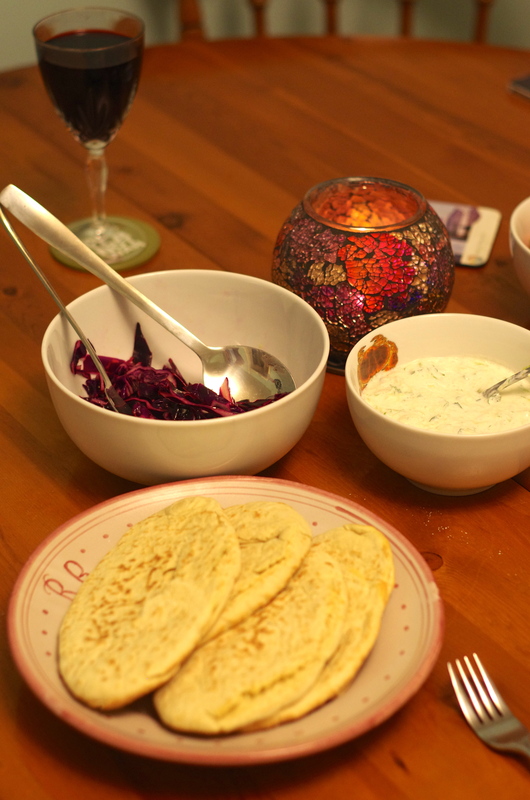 2) Make your tzatziki by coarsely grating the cucumber into a sieve set up over a bowl. Add a few good pinches of salt, then use your hands to squeeze out as much water as you can. Pour the water away, then tip the cucumber into the empty bowl and add the yogurt. Mix in the salt and finely chopped garlic. 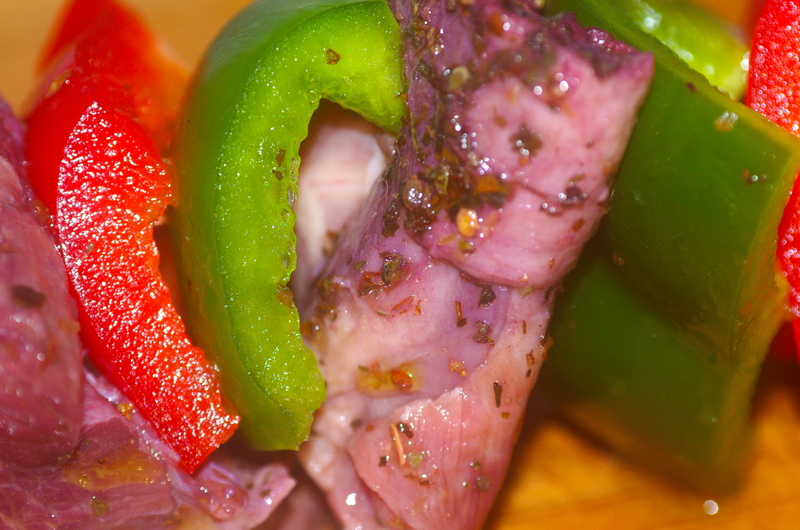 Add the fresh mint, a splash of red wine vinegar and mix really well. Taste to make sure you have the balance right, then put to one side. 3) Remove lamb from the fridge. 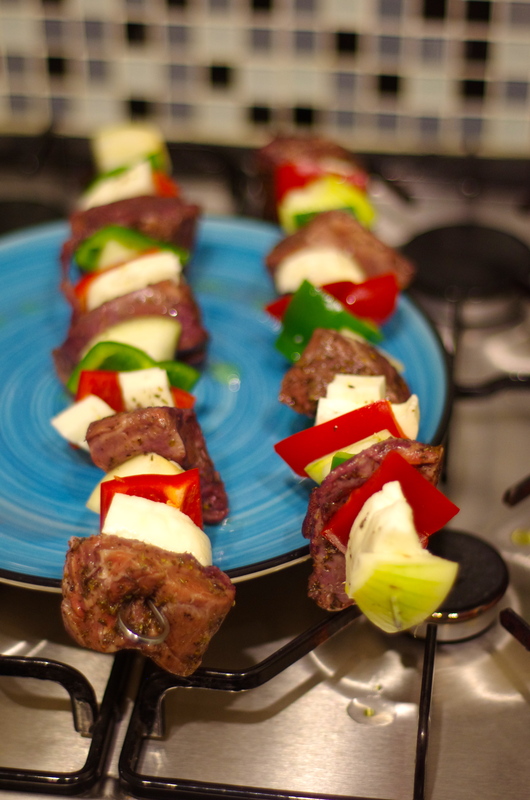 Lift chunks of lamb out of the marinade and thread onto metal skewers with chunks of pepper, onion and halloumi cheese in-between. 4) Season the lamb with salt and pepper, then cook the skewers under the grill for 15 mins, turning until cooked to your liking. 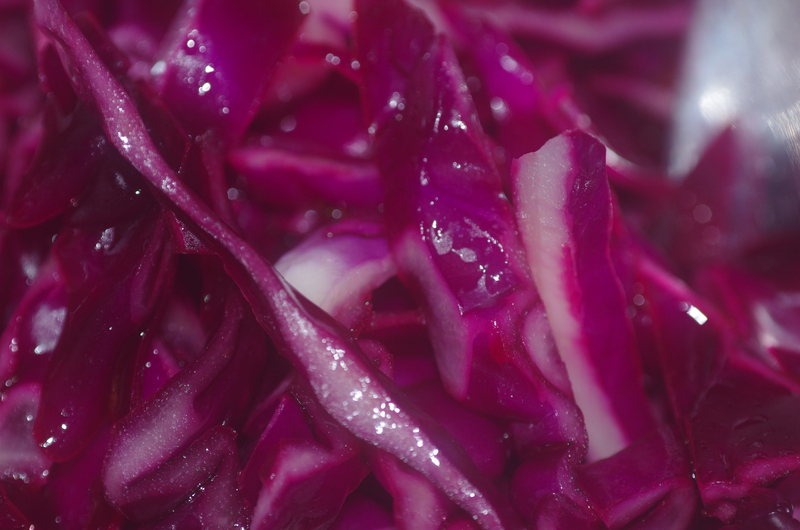 Serve tucked into warm flatbreads with shredded red cabbage tossed in lemon juice, onion, tomato and cucumber. 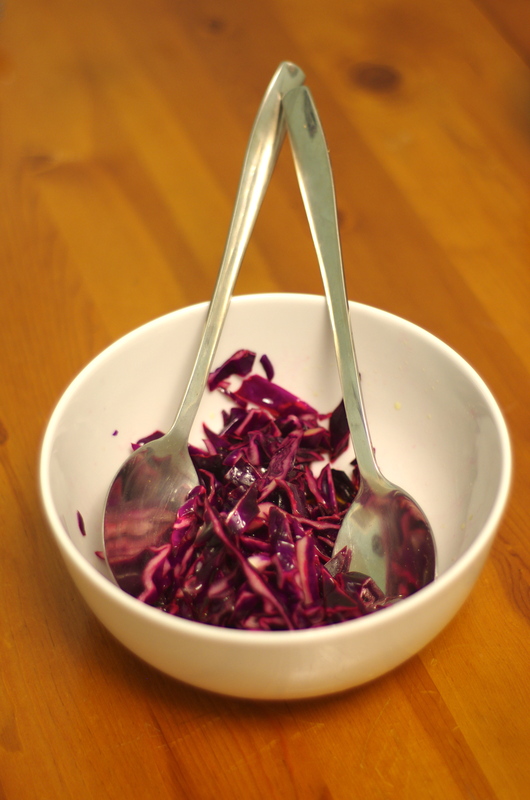 Drizzle with lemon juice and olive oil and add as much tzatziki as you like. Life doesn’t get much better!